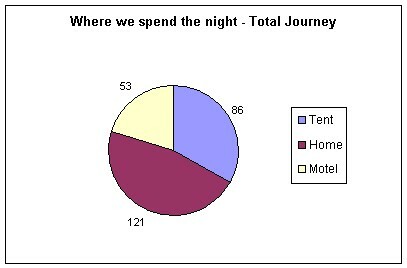 With seven legs of the journey finished, we have gathered a great amount of information. 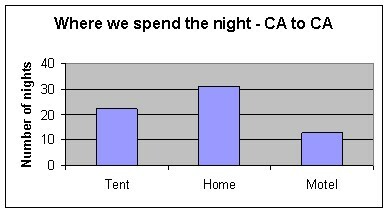 This information is wonderfully displayed in graphs. 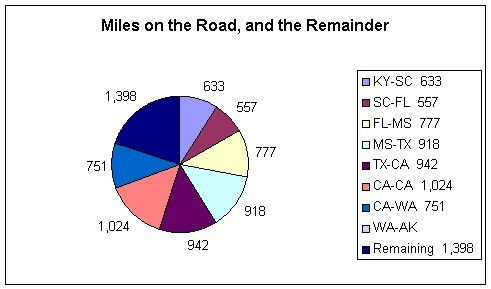 Using pie charts you see how many miles we have pedalled per leg of the journey, as well as the remaining number of miles still ahead of us. 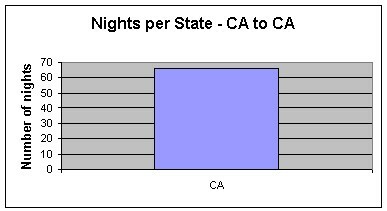 It is also displayed in percentages. 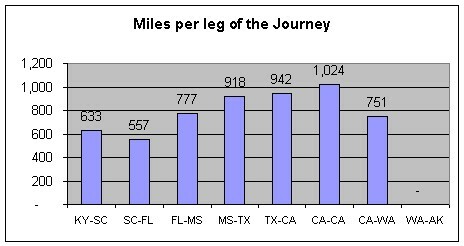 We like to know how many days it takes us per leg, as well as how many miles we average per riding day. 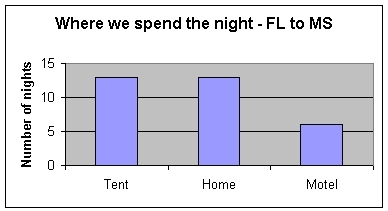 A bar chart is the best way to display these figures. 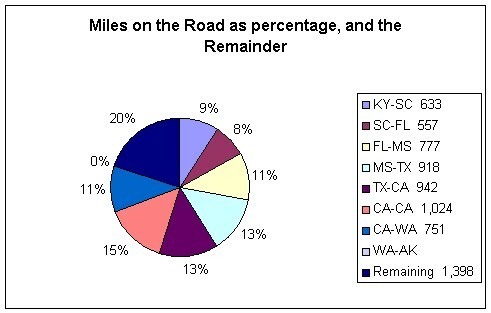 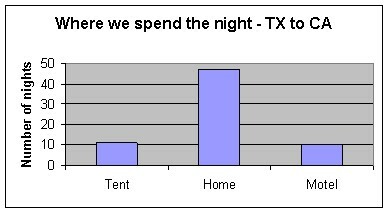 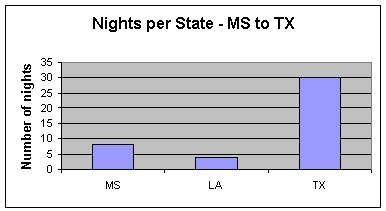 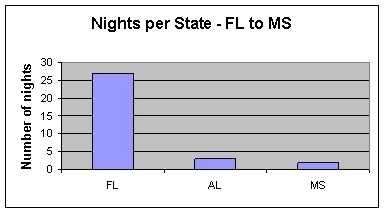 A bar chart is also useful to show how many miles per leg we've traveled, as well as how many nights we stay in each state. 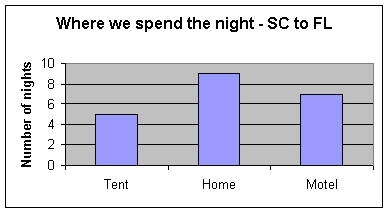 As we are on the road, everyday is a challenge to find a place to spend the night. 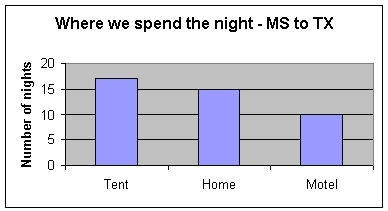 We prefer spending the night in our tent. 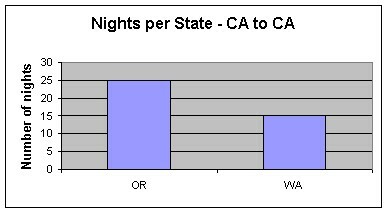 If that is not possible we find a cheap motel. 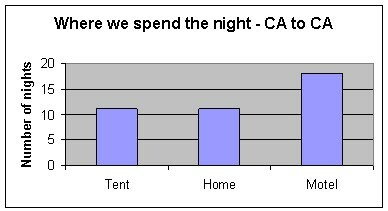 From time to time we meet very special people that open their homes up to us. 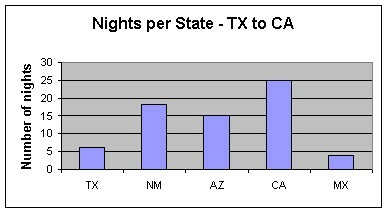 You can see for yourself where we spend most of our nights and in which states we have stayed the most.